One of the squatters, Nicole Evangelista, 22, said she had put down stakes at the complex just days ago. 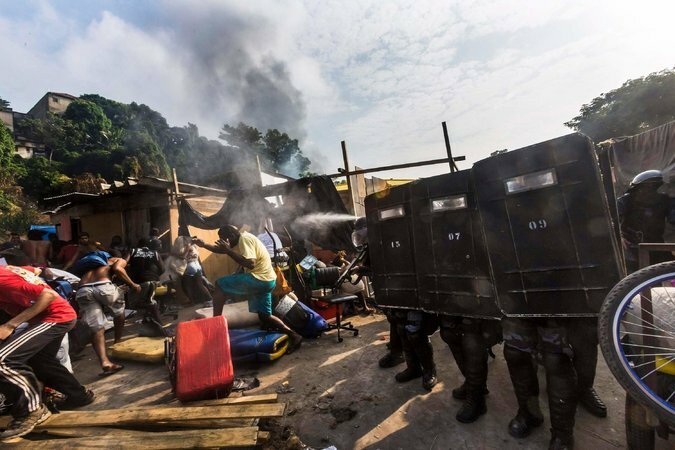 In a stunning example of how favelas coalesce in Rio, thousands of people had moved to the site this month, coordinating their moves over social media, building wooden shacks and calling their community the Telerj Favela, a nod to the state phone company that used to own the property. No deaths were reported in the clashes, but as many as 20 people were injured, including several police officers, according to local media reports. Photographs on the G1 news website showed children suffering from tear gas inhalation. At least 26 people were detained by the police in connection with the clashes and subsequent looting. Fires from the clashes sent up billows of smoke that could be seen across Rio. Police units also made forays into Jacarezinho and Rato Molhado, two favelas adjacent to the newer squatter settlement, after protesters sought refuge in the mazes of cinder-block houses. 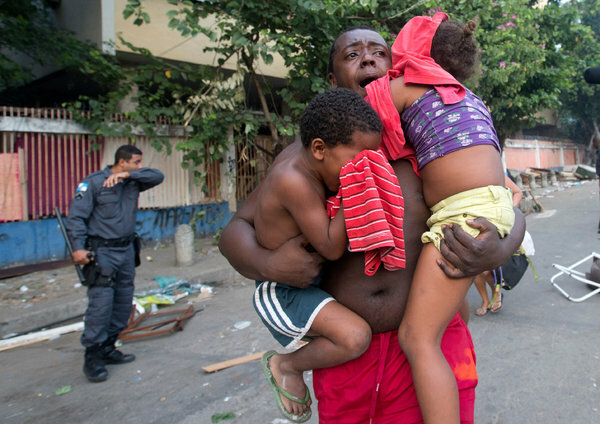 Still, the images of the clashes brought into sharp relief the discontent over rising costs of living in Rio as it experiences a frenetic investment surge ahead of the World Cup and the 2016 Summer Olympics, which Rio will also host. Real estate prices and rents have climbed throughout the city, including in many slums, squeezing low-income residents.